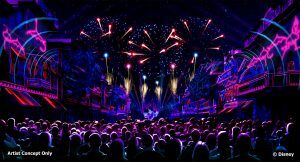 We've got updates from D23's Destination D about the new Mickey Mouse ride coming to Hollywood Studios, Nighttime Shows and Events coming to Disney World and Disneyland, and Surprise Celebrations coming to the Magic Kingdom and the Cruise Line. Read all the news here. 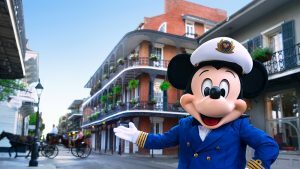 Later this year, Broadway stars will take Center Stage during select Disney Cruise Line sailings. This live concert series presented by Disney Theatrical Productions brings the magic of Disney&apos;s Broadway and international shows to the Walt Disney Theatre with Broadway performers like Alton Fitzgerald White from "The Lion King" and Jonathan Freeman, who stars as the evil Jafar in "Aladdin." 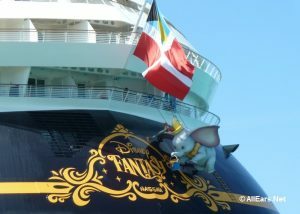 Disney Cruise Line has hit it out of this galaxy with its sailings that include a Star Wars Day at Sea. These voyages are taking place now and will return again in the first quarter of 2019 for the fourth year. My family and I already rave about Disney Cruise Line and its other specially themed cruises, but after seeing just a fraction of the experiences offered during Star Wars Day at Sea at a recent media event, we&apos;re ready to book! 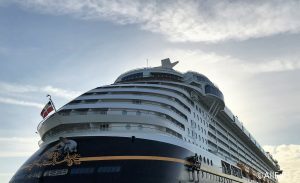 Disney Cruise Line Takes Guests on Epic Adventures in 2019 with Return of Star Wars Day at Sea and Marvel Day at Sea CELEBRATION, Fla. (Jan. 24, 2018) — In 2019, epic adventures at sea return to Disney Cruise Line with special engagements of two popular itineraries — Star Wars Day at Sea and Marvel … Continue reading "Disney Cruise Line Takes Guests on Epic Adventures in 2019"